JOB DESCRIPTION: As Service Manager, I ensure that the job duties and services executed within the department are performed in a fluent, proper manner, producing a profit and maintaining exceptional customer service in which Benson Green established at the birth of the company. INDUSTRY EXPERIENCE: I attended a Community College in Northwest Mississippi in which I received my Associate of Applied Science degree through the Heating, Air Conditioning & Refrigeration program. While attending college, I worked in the HVAC field as an apprentice. After graduating, I remained in the HVAC field working full-time performing service diagnostic and repairs. 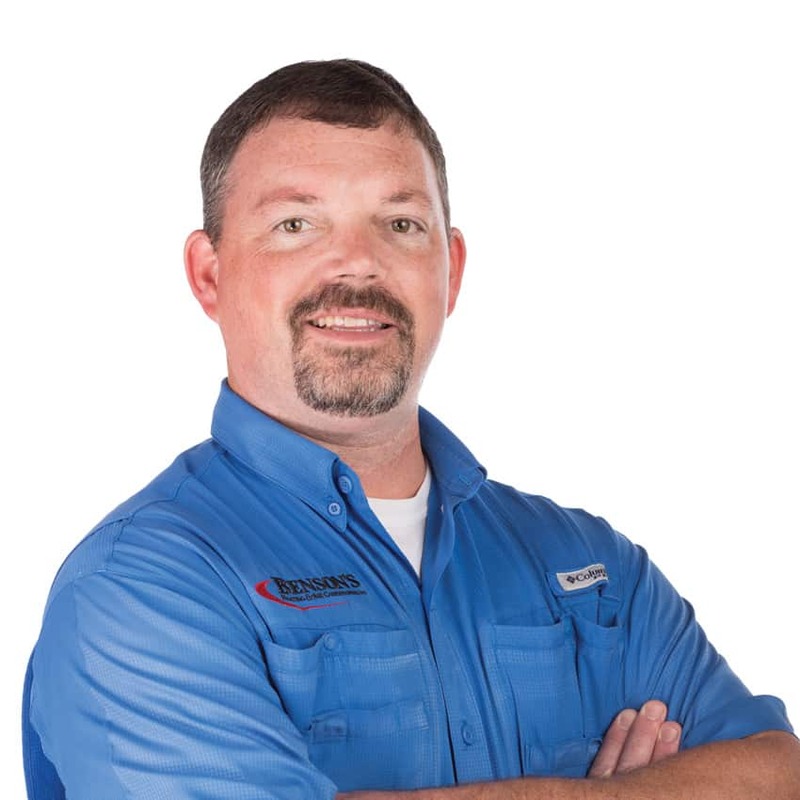 Upon 5 years of ex-perience within the trade, I relocated to Tallahassee, FL beginning my services with Benson’s as a Service Technician in 2004. In 2010, I was promoted to Service Manager to current date.